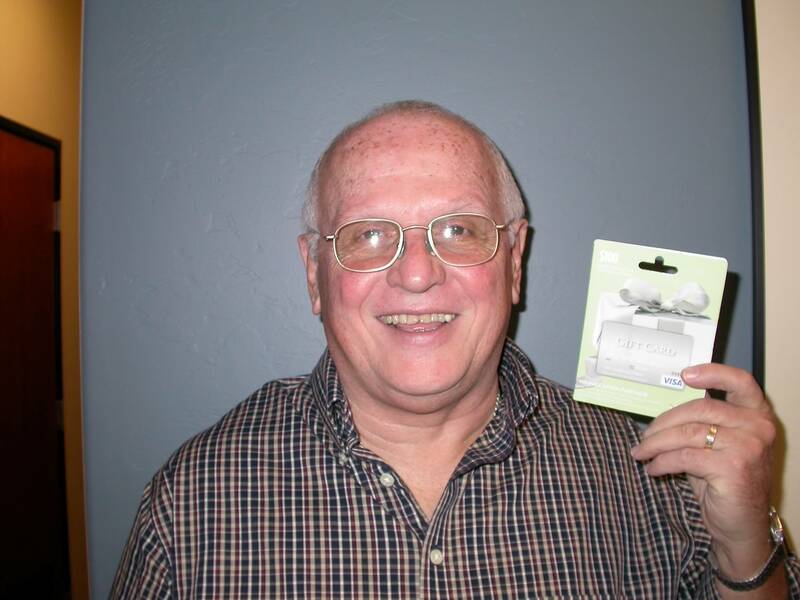 Congratulations Thomas V. our October $100 Winner! Over at ADHA.org is a quick guide to the facts about fluoride and the fluoridation of community water. The American Dental Association has a helpful pamphlet answering some frequently asked questions about fluoride. LiveScience.com checks in with an article outlining some common myths about fluoride. To learn more about root canals and dental health, check out this article at Colgate.com. Drugs.com talks about root canal treatment and what to expect during the procedure. Over at WebMD is an informative article about dental root canals and how they work. For more information, call John Carson DDS at (520) 514-7203. Asking for opinions about fluoride is likely to yield you as many different opinions as people you asked. With so much written on the subject in recent years on the Internet, it is easy to get caught up in the myths surrounding fluoride. Dentists in Tucson and throughout the United States recommend the use of fluoride, but the voices of dissent are often incredibly persuasive. So what is true and what is false when it comes to fluoride? Research published in 2000 on the subject of fluoride-related neurological disorders is the modern source for this myth, which has been around for 70 years. This most recent argument against fluoride in the water supply has not been verified despite numerous studies. Drinking fluoridated water is also commonly said to increase risk of cancer; this is also false. Many European countries had stopped the practice of fluoridation by 1970, and continued to see declines in tooth decay that were on par with countries that had continued with fluoridation. While this is commonly expressed as an argument against fluoridation, these declines are more commonly, and correctly, attributed to better dental care. Additionally, tooth decay rates in the United States are actually going up amongst children—a demographic who often has limited exposure to fluoridated water as bottled water becomes more popular. Since World War II—a sample size of more than 50 years—the fluoridation of drinking and community water has reduced tooth decay by upwards of 60%. Fluoride is proven to reduce the risk of cavities and decrease tooth decay, and fluoridated liquids are responsible for almost 75% of the fluoride consumption in the United States. Fluoridation has been used successfully in the United States for more than 50 years, and is an incredibly cost-effective way to help the public maintain their oral health. For more information, call John Carson DDS at (520) 514-7203. We are one of the most trusted dentists in Tucson, specializing in cosmetic dentistry and utilizing the latest technology. From root canals to teeth whitening, we provide expert, personalized, dental care to patients throughout the Tucson community. A root canal is a common dental procedure performed in the United States, and it is done to treat and repair teeth affected by decay. Here, we will briefly go over what the procedure does, how it’s performed, and signs that a person may need to undergo a root canal. The root canal procedure is a dental procedure used to treat and repair tooth decay. Each tooth has a natural cavity in the center of the tooth that is filled with soft pulp and nerve endings. When the tooth becomes decayed or infected, dentists perform a root canal to remove the affected pulp. Root canals are designed to treat decay and treat and prevent infection by removing the affected tissue and sealing the natural tooth cavity, thus preventing future infection. Because the pulp and nerves on the inside of the tooth aren’t vital to the normal function of the teeth, they can be removed when infected without interfering with tooth health or function. When nerves and pulp become damaged, the tissue breaks down, causing bacteria to grow and multiply inside the natural tooth cavity. This causes infection and decay, eventually leading to abscessed teeth and bone loss around the tooth root. If you are experiencing severe, persistent tooth pain, prolonged tooth sensitivity to hot and cold temperatures, darkening of the teeth, or swelling and tenderness of the gums, then you may need a root canal. For those who need them, root canals are vitally important to maintaining oral health. For more information, call John Carson DDS at (520) 514-7203. We are one of the most trusted dentists in all of Tucson. Utilizing the latest technology to provide personalized dental care, we specialize in a range of dental procedures, including root canals, teeth whitening, and dental crowns.